Bobby is originally from Danville, VA. He attended George Washington High School where he graduated in 1993. 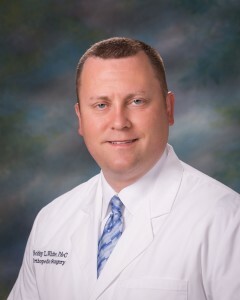 He completed his undergraduate degree in Biology at Hampden-Sydney College in 1997 and then continued to go on to Physician Assistant School in West Virginia at Alderson-Broaddus College where he graduated in 2000. Bobby then joined Spectrum Medical, Inc in 2000. He subsequently completed his Master’s Degree in P.A. Studies with a specialization in Orthopedics through the University of Nebraska Medical Center in 2005. Bobby has participated in Leadership Southside and previously served as a Board Member of the local YMCA. Bobby also owns and operates his own DJ business, Bobby White Mobile DJ and Lighting Service (BWmobileDJ.com). He currently resides in Danville with his wife, Brandon and his step-daughter, Madison.